Animals housed and maintained here at Shuttleworth College play an important role in building skills for learners who plan to work in animal focused industries. We take great pride in the range of species housed in modern zoo exhibits that allow animals to enjoy a naturalistic experience whilst creating opportunities for our students to study them. We have a wide range of species housed with the aim of allowing learners to experience the value in having strong skills and knowledge for maintaining such species. Setting high standards for industry learning. Amphibians are some of the world's most threatened species and require protection due to invasive disease and destruction of environments. Some of the popular species like our 3kg Giant African Bull Frog that feeds on dead rodents is studied by Level 3 learners for its adaptation methods of survival. While various tree frogs have adapted with amazing limbs to leap through the wilderness, the fire bellied toad has heart shaped pupils. Many fantastic anatomy studies are undertaken at the college with amphibian species. The bizarre aquatic blue caecilian can be seen housed within the specialist rainforest themed area, swimming in paludariums. The college amphibian room and the Giant Cane Toads proudly display the large rotund structure of a huge toad that means business. Whilst majestic salamanders are seen in the undergrowth. 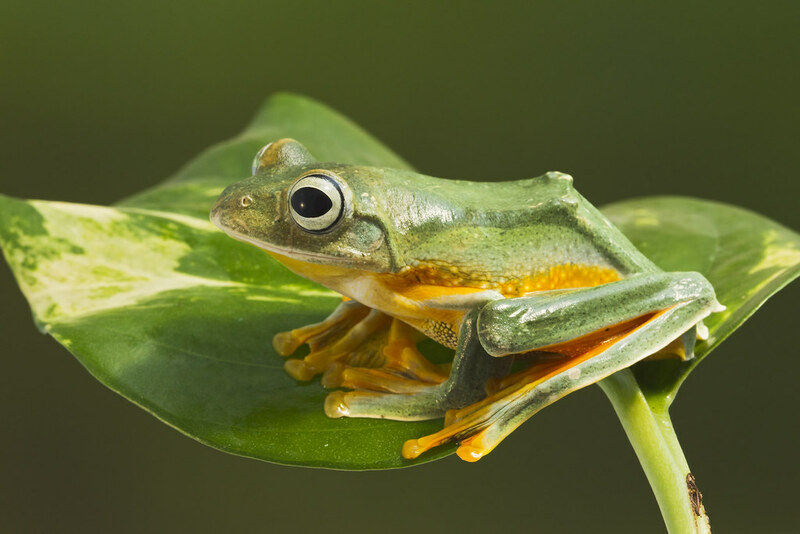 Our collection ranges over 50 species of amphibia. The joy of studying our avian friends is fascinating... from the small tropical finches to the brilliantly coloured lorikeets of Australasia; to parrots and parakeets of the South Americas. These are all enjoyed here at the College for many reasons, such as environment design and training opportunities for learners with these intelligent feathered animals. We also harvest finch eggs to feed our egg eating snake collection as chicken eggs are too large for these serpents to consume whole. The specialist tropical Biome will attract opportunity to house tropical bird species that have not been possible in the past. Domestic poultry are also part of the experience of working with birdlife. Including giant flightless birds like the Greater Rhea and Emu; these are amazing birds with very Jurassic feet. Fresh water ornamental species are housed in the collection. Where plans for large specialist species can be facilitated with the use of water quality processors and made to measure resources. The need to replicate how industry houses and breeds these fascinating aquaria is something we pride ourselves in. You can walk the countries of the world and have the opportunity to view a wide range of mammalian species: from Armadillos, Marmosets, Lemurs and rodents of wide diversity. The nocturnal room has the photoperiod changed to allow observational opportunities of crepuscular and nocturnal mammals like Kinkajou, Sugar Gliders and Fruit Bats, not forgetting the unusual Madagascan Tenrec. We pride ourselves in the housing of a wide range of reptilian species such as our shelled friends, the Chelonian reptiles (tortoises and turtles). We house and manage a wide range of unusual and commonly seen species kept in the home as pets. We also house the college mascot ‘Pig Nose’ who is a large Fly River Turtle from Australasia and Indonesian counterparts. She is the closest species you can find to a fresh water sea turtle, having flippers rather than feet. Large lizards and crocodilian species can be seen housed in the college collection and are valuable training assets for a wide variety of reasons and course requirements. This includes the modern challenges of mixed collections where animals from the same climate and country can be adequately housed together with the correct flora being propagated (supported by our horticultural team). The unusual world of invertebrates is fantastically supported at the college, where giant arachnids and millipedes are housed and bred. Allowing learners to appreciate these species that live deep in the undergrowth or dessert regions. We breed a range of snails for interest and study and also support the housing of the Malaysian Jungle Nymph. This is a heavy weight impressive species with spines to defend itself and large females can be found as a lime green adult where the males are winged and fly to mate with mature adults. Crabs of various species are housed including the amazing hermit crab that chooses a new home as it grows. The ZEC is designed to facilitate strong enthusiastic learning for all and allows for everyone to appreciate the worlds flora and fauna, enjoy the following photos from our ever-evolving collection. We are always embedding new modern plans to support the zoo industry. One exhibit to be involved very soon is the evolution display of how animals evolved from water to land. This will include Lung Fish and semi-aquatic fish like Mud Skippers, famous for their ability to breathe and hunt small prey on land. The common marmoset is a highly educational species of small primate that enjoys life here housed at the college. We are very confident you will enjoy studying the behaviours and being involved in the enrichment designs for this intelligent South American primate. Enjoy the video below showing the playful environment of one of our troops. The youngsters can be identified with the grey ear tufts rather than the white ears of the mature marmosets, which develop between 12 – 15 months.